Blogging is a way to express your Niche business in a written format. To blog means to write about what you are passionate about, you get to meet people who are like you and are passionate about your niche and you are able to solve the problems they have then you get paid for doing it. That’s the summary of how a blog helps you make money. one of them is affiliate marketing, this is basically marketing products you have used or trust with other people, and when they buy due to your recommendation, you get a commission from the sales. 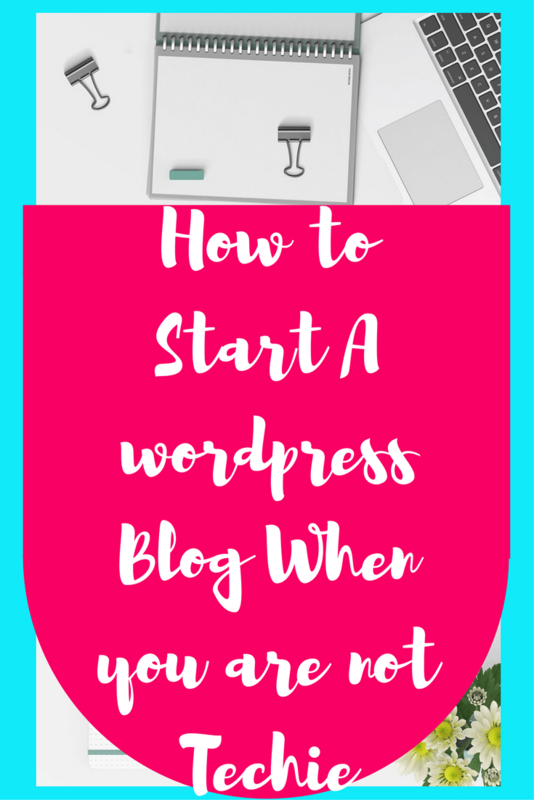 We are not going to dive into how to make money from your blog as that is not the purpose of this post, now on to my post about starting a blog. The first thing you have to do before you start a Blog is to discover your niche market. A niche market is a well-defined target market serving people with specific needs. it is usually the subset of a general market, the good thing about a niche market is that it has its own group of people passionate about the same interest. For example, paleo food and recipes is a niche because there are people who are passionate about paleo food and are consistently experimenting and creating different kinds of recipes in that niche. So if you have found your niche, and you want to Blog about it, then you need to start a Blog right. The only thing is ahhhhh, you are not a techie and you don’t want to get into a deepwater that you can’t swim in. Now Take a verrry deep breath and continue reading because I am about to break down starting a blog into the bits and pieces that you can easily implement without much stress. It is not so difficult as some people make it seem. I will show you the easy way to start one that will work for you. I have always been someone who will say take one step at a time. Like a famous saying, how do you eat an Elephant: start in bits and pieces. A domain name is your online business name, its like when you start a brick and mortar business and you want to name it, you pick a name and you go and register it. The same thing applies to when you want to choose a domain name. When you choose the name you like, you have to check if it’s available before you secure that domain name by paying for it. So, to check if your domain name is available please click here. Now if your domain name is available: (to be available means that of all the billions of people on this earth no one has secured that name). You can then go ahead and pay for the name to be secured. When you pay for a domain name, it’s your exclusive right for 1 year. No one else can use that name. It’s like staking your claim in a Goldmine, hahaha, just that this gold mine is online Business. A domain name will usually cost you just about 10 dollars/year to secure. This is because sometimes you may like a name but its .com equivalent is not available so you may decide to use .net or .org, but it’s not wise because it’s the .com names that easily come up searches. Think about the auto suggestions you see on Google when you are searching for stuff, it’s usually your search plus a .com name that comes up. SEO is hard enough don’t make it harder for your site to come up. So what’s a hosting company? a hosting company is like your landlord that you pay rent to provide you with an apartment where you get to live in. If you ever lived in an apartment before, this should make sense to you. You pay your rent and you are a offered a bundled service for the apartment. When there are issues like leakages or a broken plumbing, you just inform them and they send their technicians to fix it. The hosting company apart from hosting your website, also helps you fix things when things go wrong. Now when you are starting a WordPress blog, and you don’t have much cash at hand, its good to go with a hosting company that will offer you free hosting for a month. That’s what my hosting company did, not only did they offer a one-month free hosting, you can pay on a monthly basis instead of paying on annual basis, that basically worked for me because I did not have much upfront cash to start with. To sign up with my hosting company click here. To sign up with Bluehost, go here. When you have signed up with your hosting company, you will get an email confirming you are now being hosted by them. After that, you now get your domain credentials, which is basically an email detailing your login and admin details. Please ensure you keep a copy of this email safe, you will always need it in your blogging journey. If you have followed all these steps, congratulations you have secured your domain name and hosting, now on to building your WordPress blog. The first thing you should do is to look at the login credentials sent to you, you will see your Cpanel login in details namely: a username, a password, and a URL click on that URL to get into your Cpanel login page. If you got it right you should get a login in page looking like this picture. Type in the username and password provided by your hosting company. 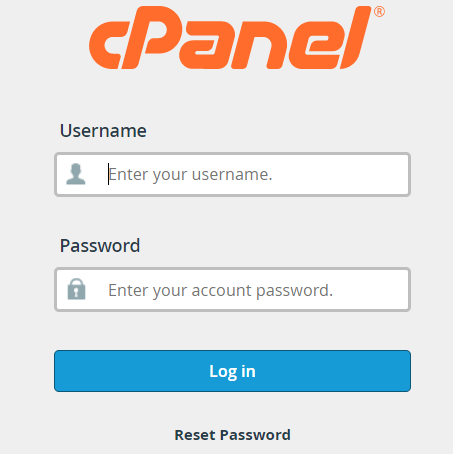 Once you get into the Cpanel, it should come up looking like this. of course I am assuming that you are using my hosting company Jvzoo. Even if you are not, the steps shouldn’t be too different. Scroll down the CPanel page till you see the last rectangular block and you will see the various options given to you, click on the WordPress icon to take you to the Login page for your WordPress site. Once you click on the icon shown above, it will take you straight to the login page of your WordPress site, once at the login page, input the email address or username and the password you used to sign up to the hosting company, after that, you should be able to start the installation. If you are able to correctly install it, its really a no-brainer and straightforward, your dashboard should come out looking like the picture below. For a more concise step by step installation tutorial all in one video where you can watch and implement Click the link below. This video is all you need to get your WordPress up and running. It will take you by the hand in a step by step watch and implement functionality to help get your site running. The WordPress Fast Track 2.0 is designed for the newbie nontechie person that does not want to waste time watching hundreds of videos getting confused. Just click here and get your FastTrack to getting your site up and running. Stop the wheels spinning and get to action point, click here to get it.